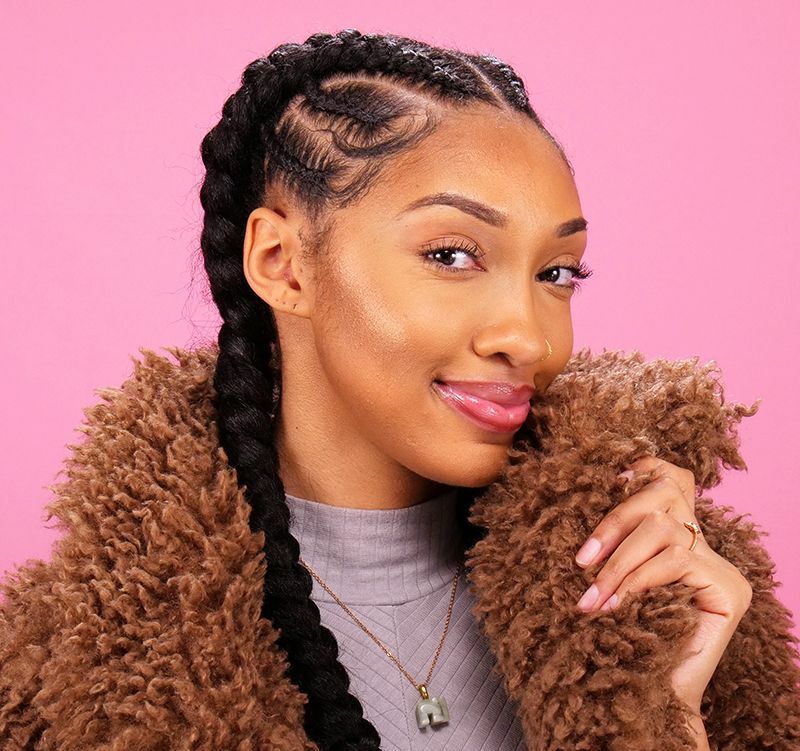 Take a stroll down any makeup aisle, and you're bound to find dozens of products that look alike, especially bronzing and contouring products. Aside from sharing a similar color palette, these two products are often mistaken for one another. Let's clear up the confusion. Contouring powder is used to make certain features, like cheekbones, look more defined. It can also give the illusion that your nose is thinner or shorter. Contouring powder should be matte, have a cool undertone, and be two shades darker than your skin tone. Pick a shade that's too light, and it will disappear. Go too dark, and it won't blend naturally. If you're wondering why matte products matter, the reason is simple. Matte powder absorbs light instead of reflecting it. Since contouring is a way of creating a shadow, you don't want the shadow to attract attention. Bronzer, on the other hand, is an attention-getter. It's designed to mimic the kiss of the sun and is applied to the high points of the face, like the forehead, nose, chin and tops of the cheekbones. Shimmery powders and warm golden colors rule this category. 1. To make your cheekbones more prominent, apply contouring powder with a fluffy brush in the hollow below them. Apply it in a diagonal direction starting at the hairline near the top of your ear and ending two-finger widths away from your mouth. 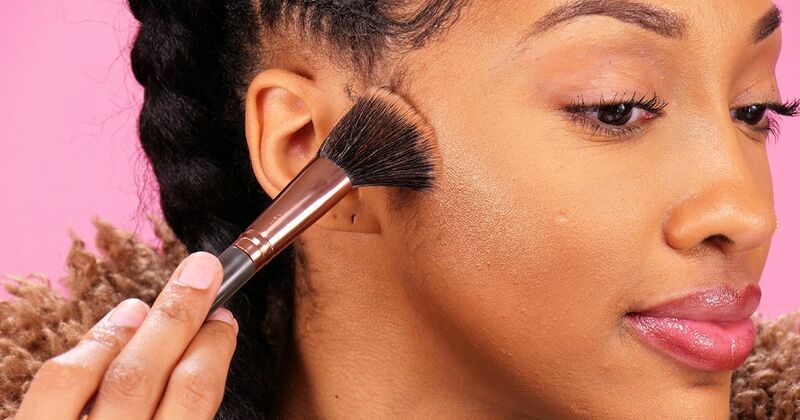 Swirl the brush against the cheek to diffuse the line and make the shadow softer. 2. To warm up your complexion and fake a sun-kissed look, sweep bronzing powder onto the tops of your cheekbones just above the contour you created in step one. Together, contouring and bronzing give a face dimension and warmth. You can always do one or the other if you're pressed for time, but they complement each other perfectly, so go ahead and do both.